We all know the challenges of law when building a startup. This is why we decided to have an interview with Darius Lengvinas (CEO) and Denas Grybauskas (Co-Founder) from LAWTHIS, a startup which aims to change the traditional legal services market by introducing faster and more convenient way for clients to get the qualified service. What is LAWTHIS? How does it work? LAWTHIS is an on-demand legal services platform, where we connect clients with professional lawyers. It was built to change the traditional legal services market by introducing faster and more convenient way for clients to get the qualified service. The client registers on the platform and submits its enquiry with legal issue. LAWTHIS has registered and approved lawyers who submit their offers with price and term for completing the enquiry. 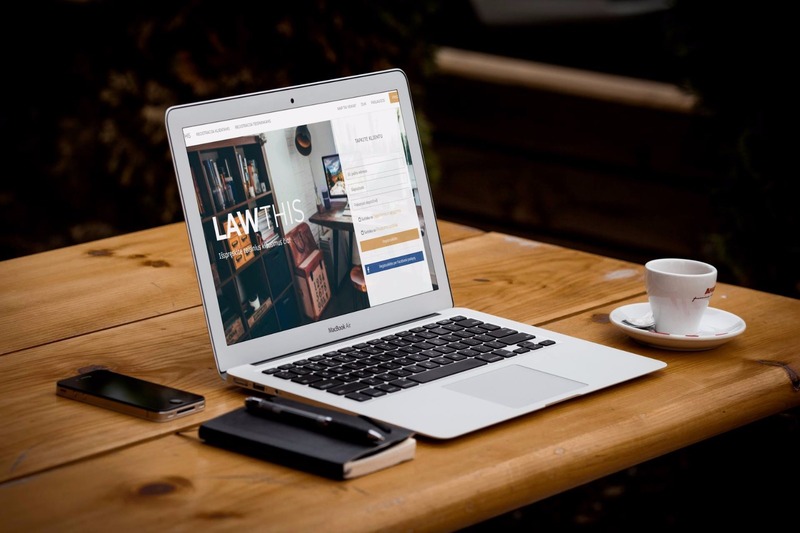 Before choosing the best offer, client is able to see the lawyer’s experience and amount and average duration of the tasks that specific lawyer has completed via LAWTHIS. In LAWTHIS we cover all possible legal areas – companies, dispute resolution, labour, tax, intellectual property, migration law and other. In Lithuania we have several similar platforms like atleido.lt and advokatasuzsekme.lt. They mostly focus on dispute resolution. There are also two leading legal services platforms Lexoo in UK and Upcounsel in USA. Both of them are highly successful and received huge interest from the market, having said that, we believe that LAWTHIS solution provides faster and more user-friendly service for the customers. We came up with the idea of launching LAWTHIS due to the lack of flexibility and cost-effectiveness in the legal market. From our view, the legal services market must change and the clients, both individuals and companies, are ready for the change – they are ready to receive services in more convenient and flexible manner. Our opinion is also proven by tons of research papers. From our own experience, we realized that if you don’t have your own internal lawyer or recommendations from friends, it may take up to a week to find a proper lawyer for your legal matter. Most importantly, clients in most cases have to pay not only for the lawyer’s actual work, but also cover law firm’s rent and administration costs. On the other hand, for individual lawyers and small law firms nowadays it is really difficult to find the clients and they are outrivalled by big law firms with huge marketing budget. LAWTHIS helps to find the qualified lawyer within several hours and guarantees a regular client flow for the lawyers. When exactly did you launch? We started building the platform at the beginning of this year. What are your target costumers? Our target customers are both natural and legal persons from Lithuania. At first, we think we will receive more enquiries from natural persons, however, we hope to quickly gain trust from businesses and to even out demand from both individuals and businesses. What are main challenges while working on this product and how are you overcoming them? Looking back, we think that our main challenges were pretty usual in the start-up ecosystem, like finding time, funds and the right people to create the product with us. However, as we have progressed further with the development of LAWTHIS, we understood that the next challenge that awaits us is, well also usual to marketplace type of products, to ensure the right balance of supply and demand in our platform. We knew from the very beginning that LAWTHIS should be pretty well received by lawyers who prefer to have more flexibility in their careers, so now we are putting our best efforts to gain the trust of future clients of LAWTHIS. We had a seed of 20k EUR, our plan is to gain traction in three months and proceed with further funding rounds. We have two initial founders: Danielius Kibartas and Denas Grybauskas. The guy pulling all the strings – our CEO Darius Lengvinas. We also have two advisors: Dr. Deividas Soloveičik, partner at Law firm COBALT and Tadas Budrikis, who has deep expertise in start-ups and especially in marketplace platforms. Well, we have officially opened our platform only yesterday and we already have nearly 35 attorneys, assistant attorneys and in-house lawyers, who have completed their registration process. We have 10 still pending lawyers as we have our approval procedure set in place so we could be sure that only legitimate professionals are providing services through LAWTHIS. Furthermore, we also have 30 people who have registered as customers and 5 of them have already entrusted their legal issues to lawyers through LAWTHIS. Amongst ourselves we are joking that we seek to disrupt this sleeping giant – old-fashioned legal services market. But to answer your question – we are definitely ambitious, as soon as we feel comfortable with the numbers we have generated in Lithuania, we plan to expand to foreign markets.